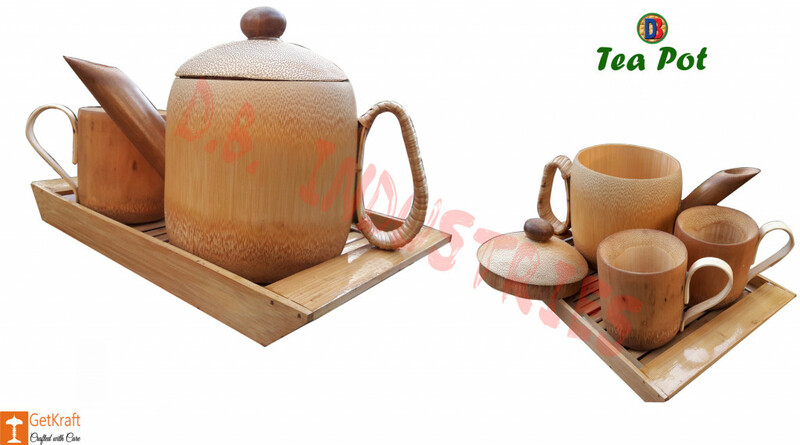 Set of Tea Pot and Serving Mugs, a Complete Bamboo Crafted Crockery Set for your Home Dining Hall, Outdoor or Office Space. The Tea Pot and Serving Mugs hava a Large Insulated Handle for Better Grip. Ideal Crockery Set Kitchenware to Serve your Guests or Family.